As I have been separated from my beloved sewing machine for the festive period, I’ve been taking some time to catch up with some sewing reading and social media! As a result I’ve found a couple of lovely things that I’d like to share – I’m sure some of you will know them well already as I get the feeling I might have been missing out for a while! The first one is the Seamwork online magazine! 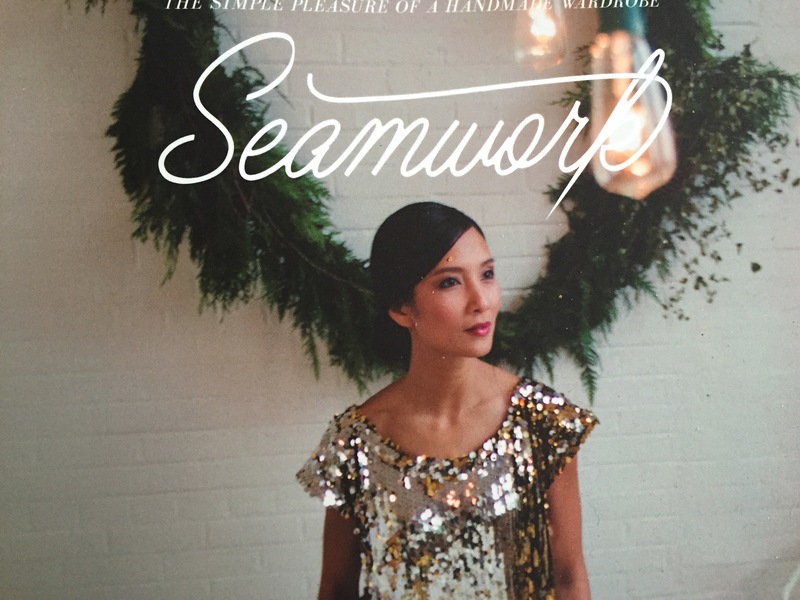 Funnily enough I got the first issue of Seamwork when it first came out (over a year ago – where does the time go?!) but never really got round to reading it. Since then there have been 13 issues! I ordered the Seamwork annual as a little Christmas treat to myself and I enjoyed reading it so much I thought maybe I would be keen for a subscription after all! I love the mix of crafty cosmetics, garment industry history, patterns and techniques! For those of you who haven’t heard of Seamwork, the subscription is $6 per month – you receive the magazine to your tablet/phone or PC and you also get two credits to download 2 patterns of your choice! I was amazed to discover that I have access to use those credits on any of the patterns from the extensive library and if you don’t use the credits they just roll over to next month! I was also happy to discover that I could download all 13 previous issues so I have been merrily reading those! The other discovery I have made (facilitated by reading Seamwork) is a world of stitchy podcasts! I suspect I’m quite behind the rest of the craft world in discovering these, but they are such fun to listen to! My new favourites are Seamwork radio, Modern Sewciety and Thread Cult. They’ve inspired me to do a bit more research in to finding new favourites for when I’m traveling! When I’ve compiled my ultimate playlist, I’ll be sure to share it with you! How about you? Are there any other crafty discoveries I’ve missed? Do you like listening to podcasts and have any recommendations for me? I hope everyone is enjoying the festive period!